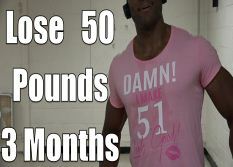 I'm 26 years old I have a one year old baby and I weigh 306 pounds. What do you recommend? I need to lose weight and be healthier. I hate myself for letting it get this far. I'm 10 and 208 any tips to help me? I'm desperate. Hi I’m Jodi. I am a 16 year old female, weigh 200lbs and am 5’11. What do you recommend? Im 44yrs old stand 5'4 and weigh 320lbs and need help losing this weight. 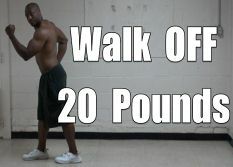 I am 70 yrs old, 5 ft 2 in, 217 lbs. I have scoliosis, artificial hip, having a new knee put in in two days. I have got to get this weight off so I can walk, exercise, take care of my house and husband. Please help me. I'm just starting on my weight loss journey n no clue where to start. I need to lose over 100 lbs. This weight is making it harder on me (I have Multiple Sclerosis), any help would be greatly appreciated. I'm 277/lbs and want to lose 125 lbs I have been told so many different things I don't know what to do!! I'm a female and 19yrs, 5'2' and 142lbs and pear shaped.... i want to lose 30lbs . help? I gym 2 days a week, one day cardio, one day spin class/ full body weight training. I wrote down my weight, I have diebeties,take insulin 4 times a day,I have disabled to a point I cant walk long distances really need to lose the weight which is most likely the reason I have all these problems,need guidance and lots of will power. Hi my name is Virgil. All my life it's been powerlifting with my dad. I got hurt a few years ago now powerlifting is done for me. So in my down time I gained like 40lbs. I am back to working out. I want to build muscle but at the same time I need to drop that 40lbs. I weigh 295. I would like to weigh 250 or less. Can you please help me out. I don't know anything about diet. For example, dieting at rates faster than 1% of bodyweight/wk has been shown to result in a greater reduction in muscle mass, strength, and anabolic hormones than diet at a 0.5-1% bodyweight/wk rate of weight loss. Not too mention the havoc it creates on ones mental status...just as depression. Here's the science..I suggest the owner of the stuff start doing some actually scientific research before giving out any more potentially harmful advice. I've done research and thansk for the links but the studies you provided are for LEAN individuals or atheltes or people with low bodyfat%. I just turned 34 and I've been struggling with my weight for a long time and I've been having trouble losing weight especially when I'm always on the go. Is there anything that I can fix that's quick and healthy that I can eat on the go? Hey, Im 18, i weigh nearly 200 pounds which is portioned all overs. im 5'3. \really digusted with my body and tired of feeling digusted and hated the way i look all the time. What should I do? And how should I start? I'm 5'2 and 149 lbs. I want to lose 14 pounds. I've already lost about 30 lbs and seem to have hit a wall. And tips? Hi I been trying to loss weight but i Am like yo- yo please help I been dieting for years and I can't make it please help me !!!! You should consider reverse dieting fisrt and build up your metabolism because you have probably severely damaged it. Build it up over time, then fatloss will be much easier. Also look into flexible dieting...it's sustanable and not stressful like restrictive dieting. I am 58 yrs old, 220 lbs and diabetic type II. I need to loose belly fat but have a large ventical hernia. Otherwise have a good back,joints etc. Can you suggest a diet and exercise plan. Hey Adrian. 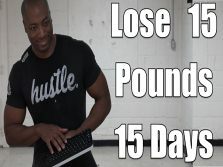 I'm 25 years old standing at 5'11 and weigh between 255 -260 lbs and I want to lose 40-50 lbs. How can I go about doing this? And also what supplements and proteins should I take? I only have dumb bells and an elliptical. Hi I am 23 years college going student and I weigh 115 lbs. I am 5'2" I want to shed 15 lbs and a few inches. What should I do? My husband and I are looking for weight loss plans we can do together. I am 25, 5'4 and 185lbs- looking to loose 45lbs. My husband is 28, 6'0 and 275- looking to loose 50lbs. We both have increased our workouts and are looking for a meal plan to do together where we loose weight but maintain/gain muscle.